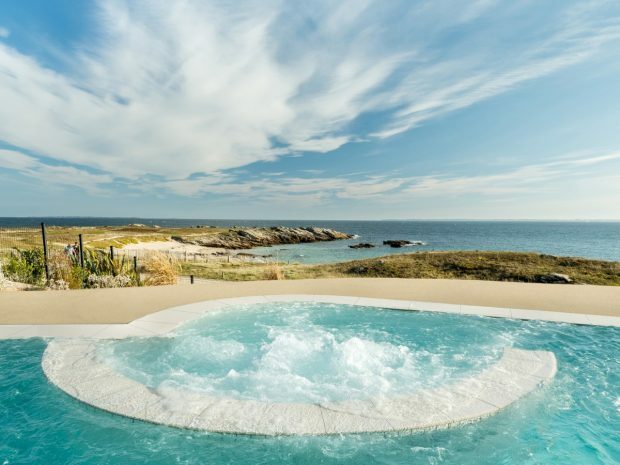 Facing the ocean, sublime and majestic, the pool of sea water heated to 29 ° C of the resort, extends over 25 meters. Swim and enjoy water activities throughout the day : AquaVitality, AquaZen, AquaBike and AquaTraining sessions, which are very popular, will help you relax your muscles and joints and tone up your figure. Individual swimming lessons are also available for anyone wishing to improve their level or simply overcome their fear of water (from 6 years). Around the large pool, comfortable loungers welcome you, for moments of peaceful rest. The sauna and hammams, located in the heart of the Relaxation Area, share the same refined spirit as the treatment areas. The design of the hammams – like an ocean wave, with violet, copper and neutral tones – recalls the elements outside, helping you let go and relax. The steamy heat of the hammam purifies your skin, while a loofah mitt will help to exfoliate and soften it. 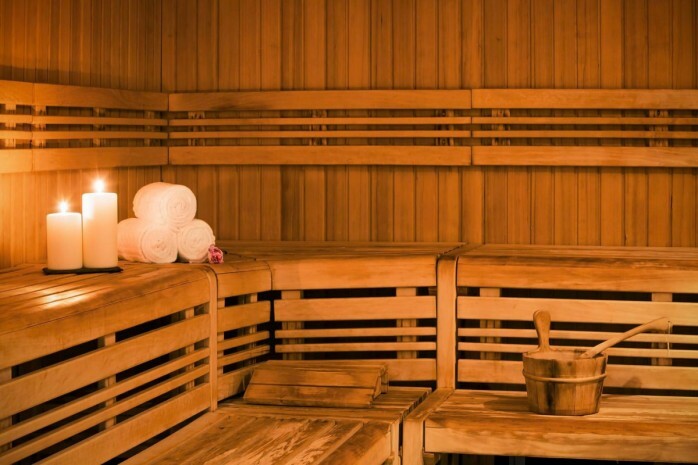 The dry heat of the sauna relaxes your muscles after working out for an immediate sensation of well-being. In the heart of the Thalassotherapy Institute, Zen areas invite you to rest and relax in total peace. Inside or out, bathed in light, equipped with wide deckchairs and decorated with a maritime theme, they offer moments of pure serenity and comfort. Soaring views over the ocean change as the day progresses – there’s always something new to see when you open your eyes or look up from your book. Breathe in the sense of calm and feel your body and soul become filled with strength.